This is SO exciting! I've been working on this giveaway for a long time, building up my prize bundle and hand picking the best of the best in beauty that I've reviewed over the past few months! Enjoy, and good luck! 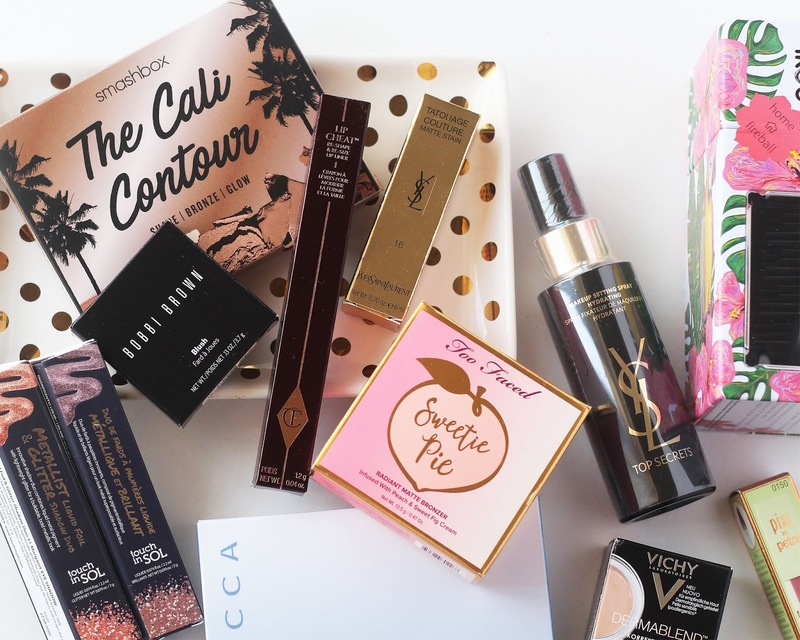 I've put together an amazing prize bundle that in total is worth over £250! I love every single one of these products individually so I promise that whoever the lucky winner is, will love everything I've put in! You can find out more about each product on my blog, I've linked the relevant blog posts within the Rafflecopter app below, and checking them out and leaving a comment is worth an entry! I wanna try the Smashbox Cali Contour Palette! Thanks for the chance, dear! I would love to try the Bobbie Brown blush, this is a very generous giveaway. I would love to try these remarkable products and be able to share my experience with friends and encourage them. Bobbi Brown Eyebrow Pencil (in a dark brown shade). It's really hard to choose, but I'm most excited about the Becca Ocean Jewels Eyeshadow Palette! What a fantastic giveaway Millie! 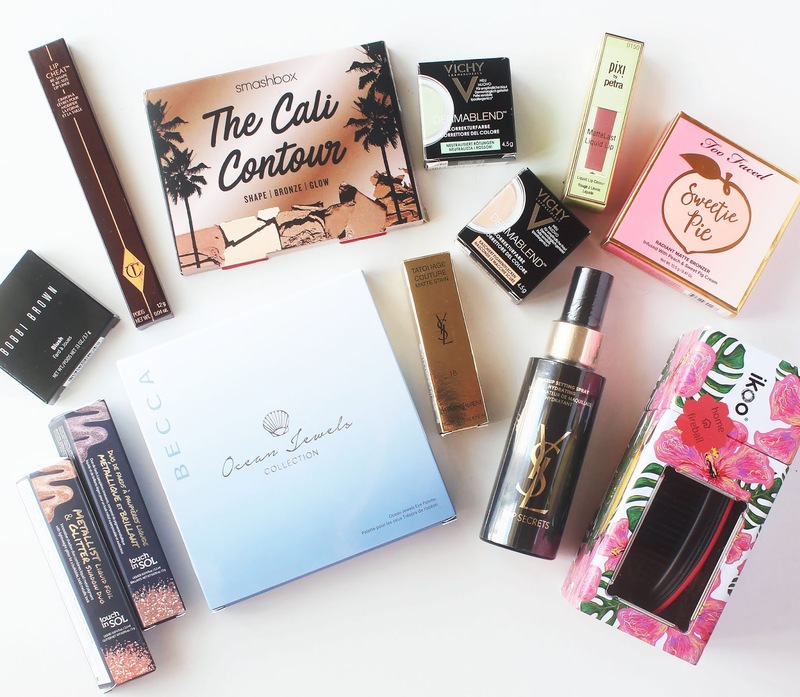 There are so many goodies to try, I'd love to try the YSL setting spray and the Vichy colour correctors! Such an incredible giveaway! Would be a dream to win! So in love with your blog photos. Wow, love it all, thanks so much for the chance, if I have to pick one the Too Faced Sweetie Pie Bronzer just looks amazing, very pretty! omg Millie, you've done it again! 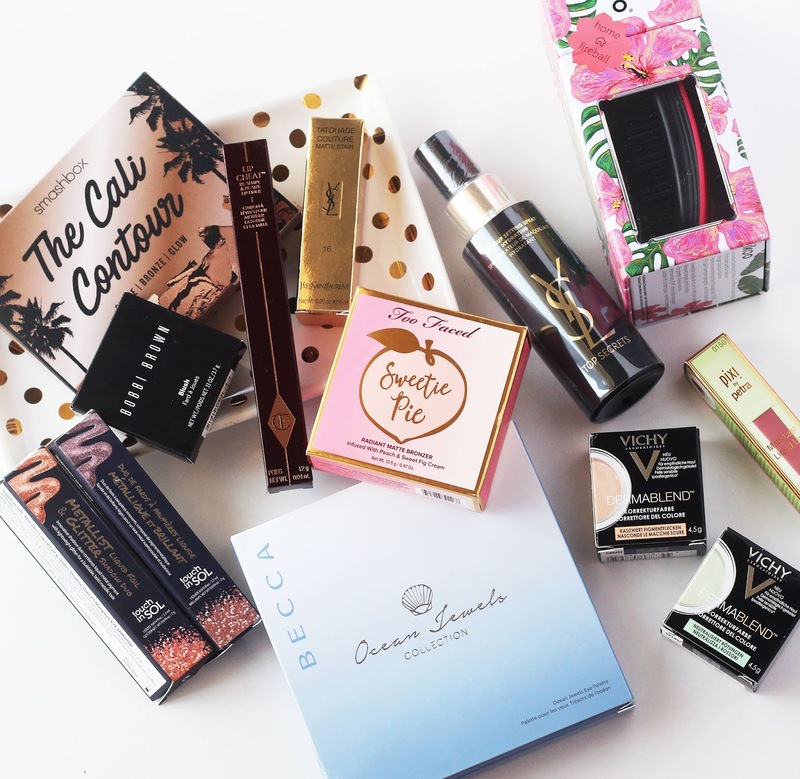 Your giveaways are always fab and I'm definitely off to enter! This is such a great giveaway! I'm most excited about the Becca Ocean Jewels palette. Fingers crossed! I'd be over the moon with any of them. They all sound fab. I am most excited about the Bobbi Brown blush. It's so hard to choose, there are so many lovely products there! I think it would be either the Becca palette or the Too Faced bronzer. Plenty of new things to try here! The Bobbi Brown products look great! This is such a cool giveaway! I'd love to win the Touch in Sol Liquid Foils! The Cali Contour Palette. Love Smashbox! I think I'm MOST excited about the Too Faced 'sweetie Pie' Bronzer, it is just utterly adorable. I want one!!! Ooh I'd love to try the smashbox pallette! 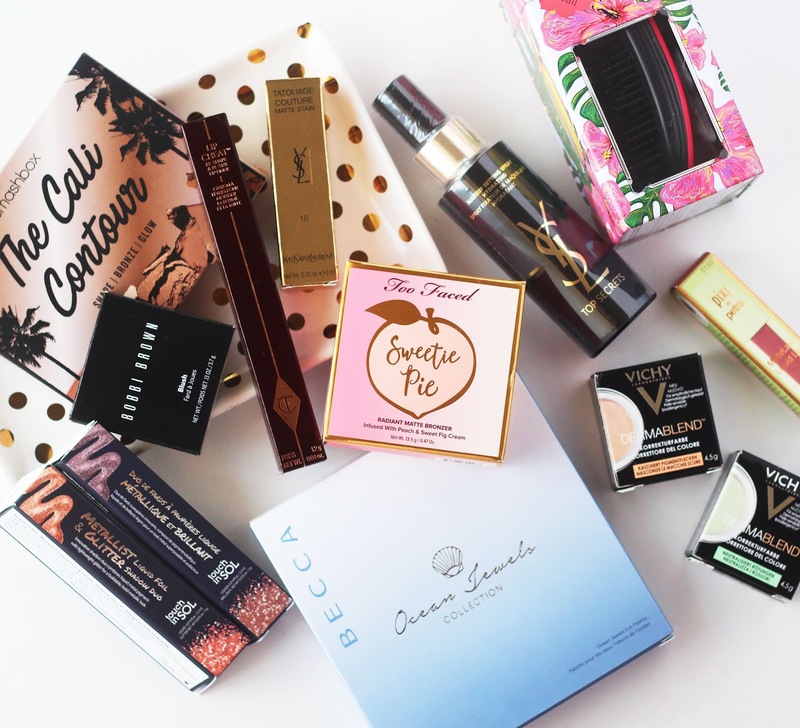 This is an absolutely amazing beauty bundle! All of the products sound fabulous, but I think I would most like to try the Too Faced Sweetie Pie Bronzer to recreate my summer holiday glow! They all look so good and so many I haven't tried! The Becca Ocean Jewels Eyeshadow Palette is catching my eye though! The smash box Cali contour palette I love smashbox make up!